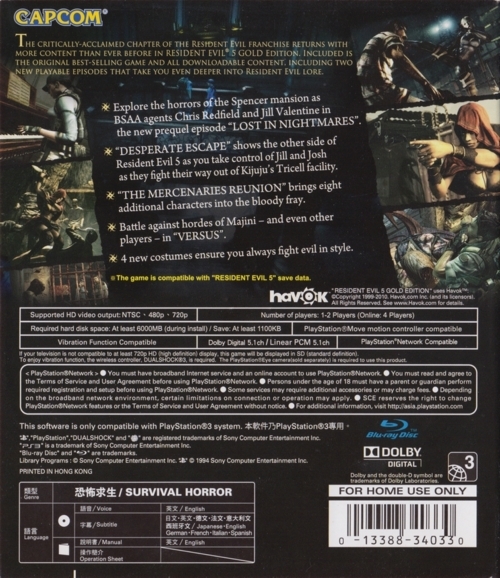 Asian/ Hong Kong edition with single-sided cover insert in English only, and with mention of PlayStation Move compatibility on the front. The back is slightly different, too. 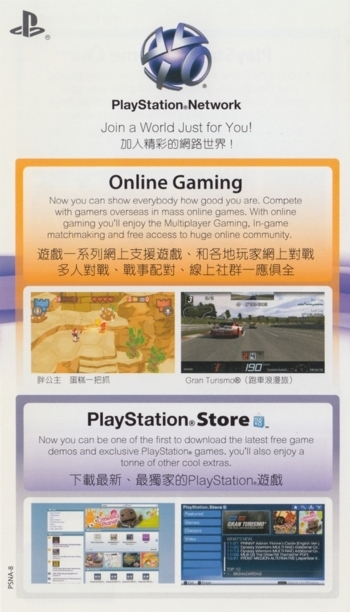 It came with an English manual, a PlayStation Network leaflet (first PSNA-8, pressings from 2011 came with PSNA-12). 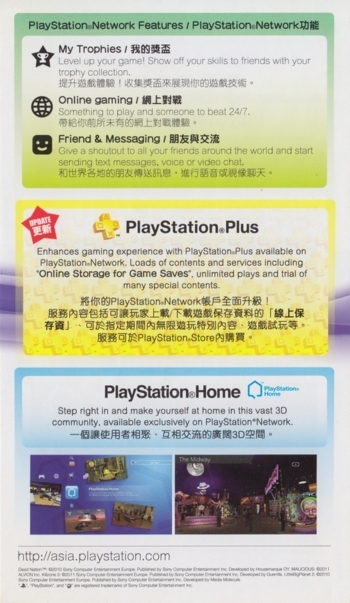 It was most likey released in September 2010, when PlayStation Move was released in Asia (except Japan). The manual and disc should be identical to the previous edition. 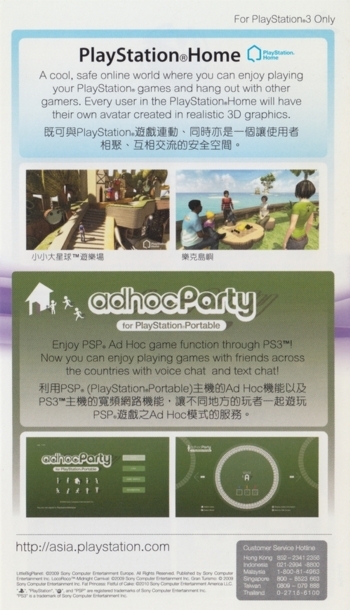 It was first released withouth the mention of PlayStation Move compatibility. 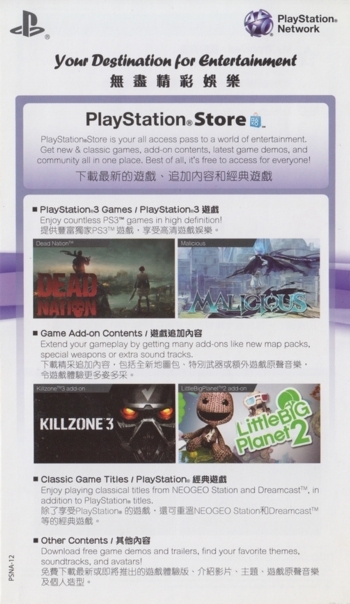 There are multiple different Asian/ Hong Kong releases of the game. 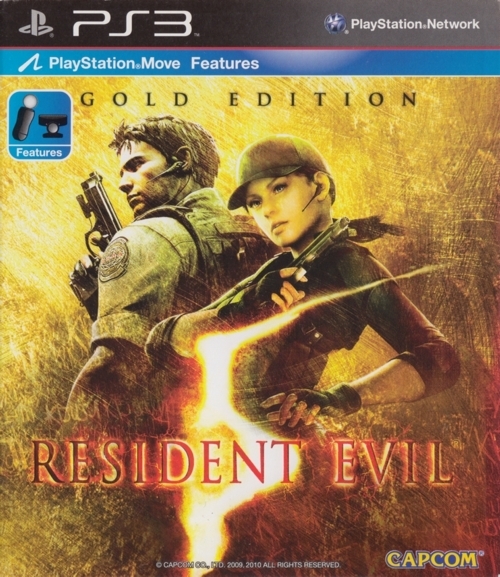 While it has not been confirmed, it seems that the disc data is identical on all the different editions. Thanks to Henry Ko (images 1-6).